If you desire to raise up strong generations of student leaders, boldly plant the flag of Jesus Christ in the heart of your campus, and help change the very direction the school is headed, you may want to consider focusing much of your prayer and efforts on the student influencers. If so, here are some principles you can apply to your ministry. Paul told Timothy to be very careful which individuals he selected to work with. He narrowed down the pool of potential laborers significantly because they not only had to be faithful but “able to teach others also” (2 Timothy 2:2). They were to be men who were able to focus on others’ needs and not their own. They needed to have a desire to influence others and the confidence and gifting to succeed. When Timothy found such men, he was to entrust (or deposit himself into) his life and teaching to them so they could become multipliers and pass it on others. Paul didn’t have to relate to anyone, but he chose to. He was free from all men, but he was willing (and able) to relate to and reach a variety of different kinds of people. Whatever kind of religious background or personality traits a person possessed, Paul adapted himself in order to reach them for Christ (1 Corinthians 9:19–23). Usually people are only able to relate effectively to those who are like them or to those below them spiritually, socially, or economically. It takes a lot of maturity and confidence to think you can relate to, understand, witness to, and win any person regardless of how high and mighty they might be in the world’s eyes. Paul possessed this perspective of himself and ministry. So should we. The Lord told us there’s a vast harvest and that the majority of the world’s people are part of the wandering group of distressed and downcast sheep. The need is not for more sheep but people who can be raised up to shepherd and work among them. They must be raised up from within the flock, not outside. They must have the spiritual, social, and emotional maturity to go beyond themselves and care about the needs of others. Jesus told His disciples not to pray for more sheep but to pray for more shepherds. The cry of His heart was for more laborers (Matthew 9:36–38). Not more followers, but more leaders—people who could be part of the solution rather than part of the problem. It is not exclusivism or favoritism that we select and develop these individuals. Not only is it in obedience to Christ, it is what He modeled Himself. This is part of the “people group” concept that missiologists finally discovered in the mid-twentieth century. To try to win the tribe before the chief is convinced will backfire, but if he makes a genuine decision, then the whole tribe will be responsive to making a decision also. I saw this so clearly when I was witnessing to a group of ten college students in a Ukrainian dorm room. They listened closely, but when it came decision time, they all took their cues from the leader of the pack. He hesitated to commit himself—and then, one by one, I saw the others follow suit. Most ministries are nibbling around the edges of a campus, focusing on interested or isolated students because it is less threatening and they are more available. Seldom will an influencer come into a church or campus ministry building. If they are going to be reached, it will be because the worker goes to them, on their turf, to build rapport and win them. Few campus workers are willing or able to take the initiative, break through the mental barrier of approaching a student who appears to “have it all together,” and boldly initiate a relationship and/or the gospel. 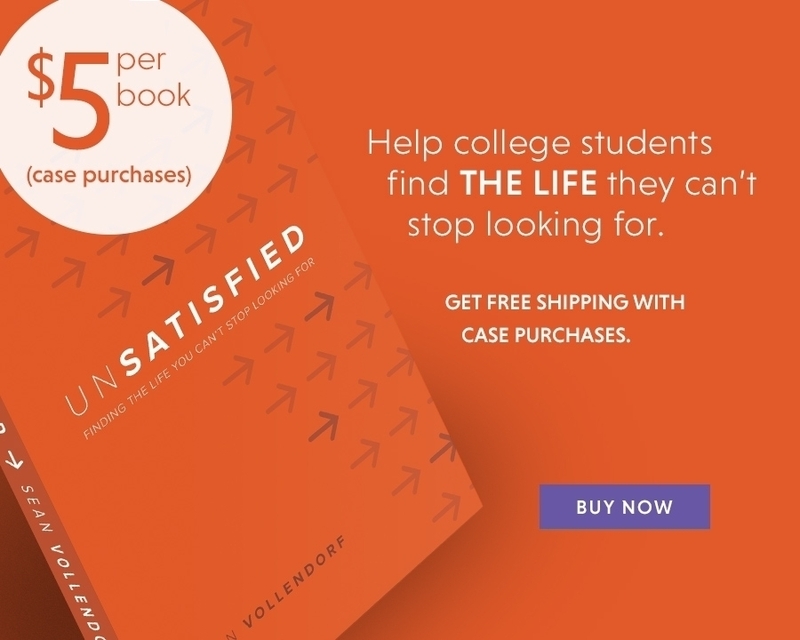 Even though some of the influencers have insecurities (and deep down are waiting for someone to break through their busy schedule and friend network to enter their world), they are easily the most unreached segment of students on any campus. Everyone yearns to have a growing, dynamic, large group with lots of excitement, momentum, and relationships. For this to happen, the core of at least ten to twenty students have to be influencers. They are the magnets that attract other influencers, interested, and isolated to the ministry, and they are also the glue that cause them to “stick.” If the core is primarily interested or isolated student, then a movement will never get off the ground. They will struggle with: 1) relating to each other, 2) being able to have personal ministry, 3) attracting others to the movement, and 4) influencing the campus. When influencers are at the core, recruiting to meetings, conferences, and summer projects is revolutionized. If the key leaders are going, everybody wants to go. The body goes where the heart does. Jesus loves all students the same, and so should we. How can we impact the greatest number of students regardless of what grouping they might fit into? If our core is interested or isolated students, the movement may remain small and impotent. If a staff person will spend the first two years forming a core of influential men and women, the group will be able to do anything they want the third year (i.e., start a large group meeting, small group studies, etc. ), and the campus will follow their lead. Sixty percent of the campus are interested students and are waiting to follow and get involved. Thirty percent are isolated students who are curious or lonely enough to at least check out what is going on and consider participating. Quality begets quantity, and the level of spiritual/social/emotional maturity at the core will determine the ultimate quality and quantity of a campus movement. If you have a heart for reaching the interested and isolated students, consider focusing on the influential─they will draw them in. The students we focus on and build into will be the ones who join our team. A ministry staff that is made up of interested or isolated individuals will have a hard time recruiting an influential leader to it’s staff. As crass as it may sound, John Maxwell, in his book 21 Irrefutable Laws of Leadership, places a number next to each person, rating their leadership abilities with one being the lowest and ten the highest. His premise is that we can only attract and influence those who are equal or below us in the leadership chain. A six can recruit and lead fours, fives, and sixes, but a nine can lead sevens, eights, and nines, etc. If your ministry is full of bold visionaries who are not afraid to go straight to the heart of the campus, you will draw stronger leaders to your team. We reap what we sow, and leaders attract leaders. Sometimes I wonder whether a ministry ought to be “targeting” any student group. If a student crosses your path, isn’t that a sign from the Lord that this person deserves your ministry time and energies? Well, maybe and maybe not. These students might appear faithful, but it may be that they don’t have any friends, so they will surely respond to any attention you give them! It could be that they don’t really have anything else better to do, so why not hang with you? And yes, they seem very teachable, but is it because their self-esteem is so low they’ll respond to anyone? Hearon encourages his staff to take these facts into consideration when deciding where to invest their limited amount of time and energies. He wants to reach as many students as possible on campus and believes that focusing on the influencers is the key: “We must see our apostolic calling and realize more people can be reached by investing in those who will be able to teach others also.” Asked how long it takes to develop an individual who is not already a leader into a campus leader, he responds, “It probably won’t happen in the short period of time they are in college. They can eventually become a force for God, but it will probably take five to ten years. A staff person must ‘restock’ the movement each year in order to perpetuate the impact on the campus, so the staffer must be selective in leadership investment.” In short, if your goal is to raise up students who can reach out to other students, it will be much more difficult if you start with an interested or isolated student.